This page shows the latest Havas Life news and features for those working in and with pharma, biotech and healthcare. Sister agencies Havas Life Medicom and Union by Havas Lynx adding to the total, collecting a Gold each. ... Full Results below:. Craft Award for Sales Aid: Havas Life Medicom for Galderma. 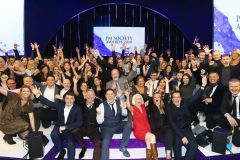 Hamell, Havas Life Medicom, Publicis LifeBrands and Syneos Health are just a few named finalists. Verity Andrews, who becomes a senior account executive, joins GCI from TogoRun and newly appointed account executive Zunera Sheik moves to GCI Health from Havas Life. She has previously served in various copywriting positions for several agencies including Havas Life Medicom and Oglivy Healthworld. Wright joins from Havas Life Medicom, where she held the position of associate director in its PR and communications team working for a variety of pharmaceutical clients. Approximately 4 fully matching, plus 15 partially matching documents found. Senior Account Executive, Verity Andrews joins from TogoRun and Account Executive, Zunera Sheik moves to GCI Health from Havas Life. Page & Page: How much longer can they keep it a secret? A band of branding, strategy and media folk, the agency was founded by Kate and Stephen Page (Havas Life) and joined in 2017 by Matthew Ross, Creative Director, and Beth Bellis, ... Business Unit Director (both with Publicis and Havas Life pedigree). Helena joins from Havas Life Medicom where she held the position of Associate Director in the PR &Communications team, working across a variety of pharmaceutical clients.